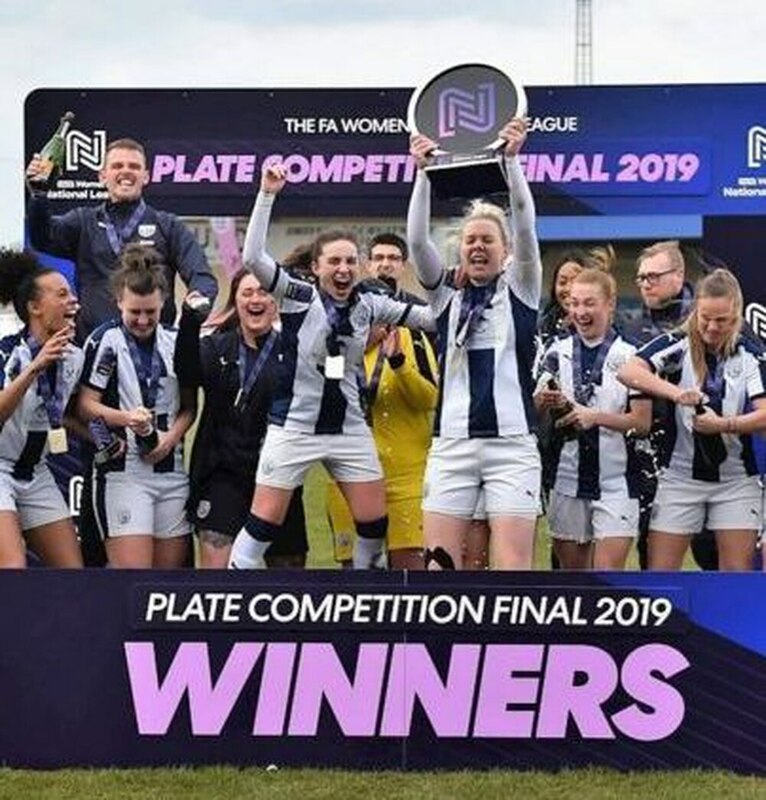 Albion women are chasing an impressive treble after winning the FA Women’s National League Plate. The Baggies thrashed Liverpool Feds 5-1 in the final at Rugby Town over the weekend. It was an unexpected trophy because Louis Sowe’s team had lost in the semi-final to Gillingham, before the Gills were then disqualified from the competition for fielding two ineligible players. But it could be just the first trophy of the season for the side who are currently top of their league and in the final of the Birmingham County Cup later this month. By a strange coincidence, Liverpool Feds had also lost their semi-final to MK Dons, who were also disqualified. Baggies skipper Hannah George gave Albion the lead five minutes in with a curled free-kick from 20 yards but Liverpool equalised quickly through Molly Farley. Jess Davies restored the lead before half-time and then Albion added three more goals after the break through Laura Davies, Ria Elsmore and player of the match, Natalie Murray. The Baggies are also on course to win Division One Midlands of the National League, having won 16 out of 16 league games so far. They are six points clear of Wolves with just four games remaining but their rivals have just three games left. The Baggies are also due to meet Coventry United Ladies in the final of the County Cup at Tamworth FC on April 30. Albion were relegated last season but could win promotion back into the third tier of women’s football. The Women’s National League is the two divisions below the Super League.